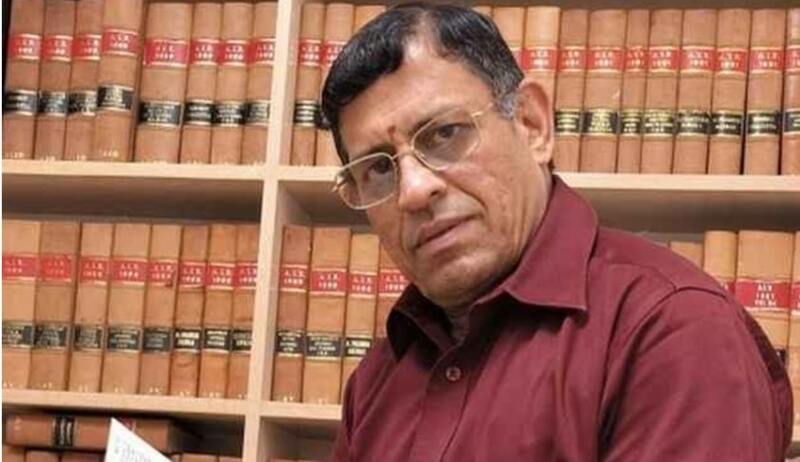 The Delhi High Court Wednesday while hearing the contempt petition filed by the Delhi High Court Bar Association against S. Gurumurthy, editor of a Chennai-based news magazine said that "if he is remorseful about what he said regarding the sitting judge, then he should come forward and record an unconditional, unequivocal and clear apology." A division bench of Justices Siddharth Mridul and Sangita Dhingra Sehgal emphatically stated that the court is not prosecuting anyone here; it's primarily a question of upholding the dignity of the honourable court and judiciary. Mahesh Jethmalani, advocate for Gurumurthy stated that the journalist was set up and misled to make that comment in his tweet and he was apologetic for the same. He further said that Gurumurthy is apologising for his remark. However, the bench expressed dissatisfaction with the kind of apology tendered by Gurumurthy. The bench doubted whether the apology was "genuine and heartfelt" or "conditional", as Gurumurthy has said in his statement that "if what I have tweeted was scandalous, I would be sorry for it". However, Gurumurthy's advocate submitted that his client has apologised "genuinely". To this the bench clearly responded that since the person in question was an editor of a popular magazine and the "remark was not made in isolation". "It is important that Gurumurthy comes forward himself, marks his presence in the Court and apologises in a way that makes it evident that its unconditional", the bench expressed. The court will continue to hear the arguments in the matter on December 6. Gurmurthy is facing contempt proceedings for his tweets which alleged bias on Justice Muralidhar after he passed order quashing the remand of activist of Gautam Navlakha. The High Court, which took up the matter after receiving a letter from advocate Rajshekhar Rao who sought contempt action against the scribe, said the tweets and online video making allegations against the judge be taken down. Earlier in March this year, the high court had dubbed as "mischievous" certain tweets by the journalist in connection with its decision granting interim protection from arrest to Karti Chidambaram, son of senior Congress leader P Chidambaram in the INX Media money laundering case. After grant of interim bail to Karti, Gurmumurty had tweeted the innuendo that order was passed by Justice Muralidhar on account of the fact that he was P Chidambaram's junior. Taking notice of the tweet, Justice Muralidhar commented in Court next day that he was never a junior of P Chidambaram at any point of time. "It is unfortunate that despite some of the tweets in response clarifying the correct factual position, Mr. Gurumurthy chose not to withdraw his mischievous and false tweet”, Justice Muralidhar remarked. Following that Gurmurthy withdrew the controversial tweet.